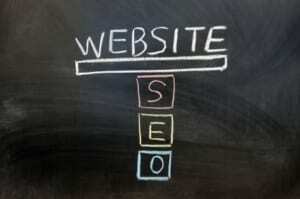 It is important for a company offering Houston SEO services to address all potential questions. In the internet world, being prepared to answer such question will help potential clients understand about taking such a step. It can also allow a means of measuring potential success of a website through taking an optimization campaign. Inquiries are a great way to iron out any confusion and encourage understanding about available optimization options. With such a purpose in mind, following are five question often asked regarding an SEO campaign. What is the Importance of Website Optimization? Website optimization is necessary to establish websites and not often understood. With online marketing, it is a vital way to obtain relevant traffic from targeted visitors, generate more revenue, maintain a top position with major search engines, and increase sales leads and conversions through greater visibility. Website optimization can provide a competitive edge against rivals by making a website both user and search engine friendly. Will My Website Reach a Number One Ranking? No company providing Houston SEO services can guarantee a number one ranking – period. Even Google advises that such statements are not attainable, no matter what is done because there is no ‘magic formula’ to get #1 ranking on the search engines. The only thing that can be assured is an improvement in ranking by using the right SEO, because ranking requires time, commitment, and constant updates to achieve a first page goal. What is the Role of Spiders? Web spiders or crawlers play a crucial function in website optimization. They are programmed robots who “crawl,” copy, index, and gather information from websites to facilitate searches. Spiders are an essential tool for browsers to keep up with daily changes in a growing online community and are also used to ensure that all data delivered to users is up-to-date. How is SEO Success Measured? Measuring success is imperative for growth and improvement and is not done by simply looking at web page ranking. There are a variety of ways and tools to use to measure success. The first step is to check to see if traffic is on track, then check the page position to see if it is fluctuating or improving, gauge the exposure, and evaluate sales leads and conversions. These are the common things to look at when monitoring changes so that an end goal is achieved. What SEO Techniques Are Used? One technique used to improve ranking is a technique, strategy, and plan of action directed to ethically and organically increase page ranking. It generally involves a methodical use of keyword analytics, quality content writing, and link building. The above inquiries are just a few of the many questions asked when searching for a reputable Houston SEO services company. These five common questions can help a new customer understand the importance of optimization in online marketing and guide them to successful SEO results! Call Web Unlimited When Looking For Great Houston SEO Services! Do you need to find a company for reliable Houston SEO services? Call Web Unlimited at (888) 516-0172 to answer any questions about using this technique to ranking for your business at the top of the search results!